If you live in Massachusetts, you happen to reside in one of the few states that collect a state estate tax. People handling the estates of Bay State residents and nonresidents who own real estate or tangible personal property should know how to navigate the sometimes tricky Massachusetts estate tax laws. NOTE: State laws change frequently, and the following information may not reflect recent changes. For current tax or legal advice, please consult with an accountant or an attorney since the information contained in this article is not tax or legal advice and is not a substitute for tax or legal advice. When Is Your Estate Subject to the Estate Tax? For Massachusetts residents, if your estate is worth more than $1 million, money must be paid to the state first before any assets are passed on. The estate tax has a range of 0.8 percent to 16 percent. The value for the entire estate is calculated on such things as the value of your home or homes as the case may be, life insurance, and retirement accounts. In addition, for anything valued above $1 million, Massachusetts estate tax applies to the entire value of the estate, not just what is above the threshold. There are no exceptions, even if that value boils down to one single dollar. For nonresidents of Massachusetts, the same applies if it includes real estate or tangible personal property. There may be good news coming, however: a new Massachusetts bill seeks lower rates on estates worth less than $7 million and higher rates for those above that $7 million mark. 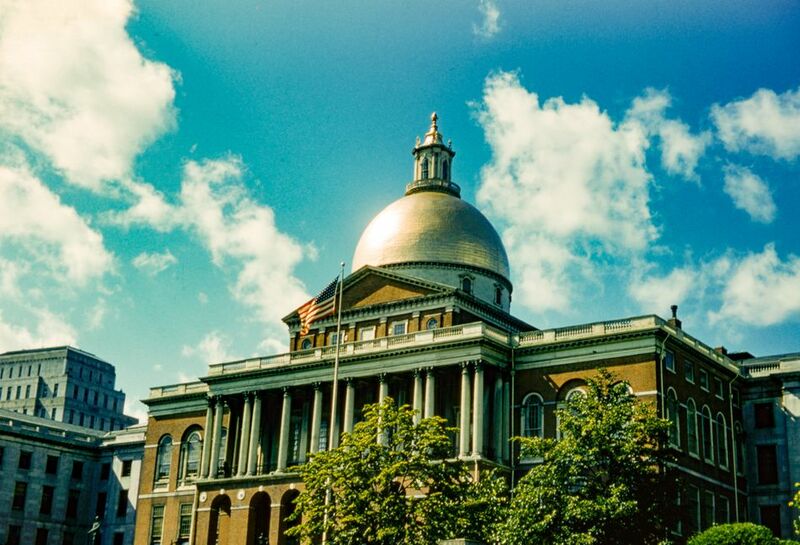 What Is the Massachusetts Estate Tax Rate? Massachusetts has a range of estate tax (marginal) rate, beginning with 0 percent on taxable estates of $1 to $40,000 all the way up to 16 percent on taxable estates $10.04 million and up. The same applies to nonresidents. What Tax Forms Must Be Filed? The estate representative of an estate that is subject to the Massachusetts estate tax must first complete a federal estate tax return, IRS Form 706, which was revised in 2017. Once the federal return is completed, the estate representative can prepare the Massachusetts Estate Tax Return, Form M-706. You may be required to submit a Federal Closing Letter to the Massachusetts Department of Revenue (DoR) within 60 days if you have to file Form 706. This would include the federal letter of acceptance and potential line adjustments. You will then have to send copies of federal changes via an amended Form M-706. Without exception, no Massachusetts Estate Closing Letter will be issued without a copy of that Federal Closing Letter. The need for a Certificate Releasing Massachusetts Estate Tax Lien (Form M-792) may arise where a release of lien is required. A copy of the deed or certificate of title, and the purchase and sale agreement (or mortgage commitment), if any, should be provided. For the estates of deceased nonresidents, you will need a Massachusetts Nonresident Decedent Affidavit Form M-NRA). Are Transfers to a Surviving Spouse Taxable? The good news is that outright transfers to a surviving spouse who are U.S. citizens are not taxable. The estate tax laws stipulate an unlimited deduction for transfers, either via lifetime gift or at death. The only time estate tax comes into play is when the surviving spouse passes away. However, transfers to spouses who are not U.S. citizens do have some limitations. For example, the rule in 2018 is that outright gifts to non-U.S. citizen spouses have a ceiling of $152,000 and are indexed for inflation in future years. When Are the Estate Tax Return and Tax Payment Due? The Massachusetts estate tax return has to be filed within nine months after the date of death. Any estate tax due must be paid within that time frame as well. You can apply for an extension through the M-4768 form. However, if less than 80 percent of the total amount due is paid, the extension is considered void and you'll incur penalties for filing late. Where Are the Estate Tax Return Filed and Tax Payment Made? When Is a Release of Massachusetts Estate Tax Lien Required? A release of Massachusetts estate tax lien is required against all Massachusetts real estate in which the decedent had a stake at the time of death. These types of liens are also required on real estate in Massachusetts that an individual transferred under certain circumstances before passing. To release the lien, you would need a Certificate Releasing Estate Lien and an affidavit. Go to this link and navigate to 521.1. In General to find out what's required for deaths that occurred before or on Jan. 1, 2003, as well as those occurring on or after Jan. 1, 2003. For more information about Massachusetts estate taxes, refer to the Massachusetts Department of Revenue website. Could High Death Taxes Finally Be Lowering? Massachusetts is one of 14 states ranked as having the highest death taxes. But pending legislation may help keep more residents from opting for more tax-friendly states.